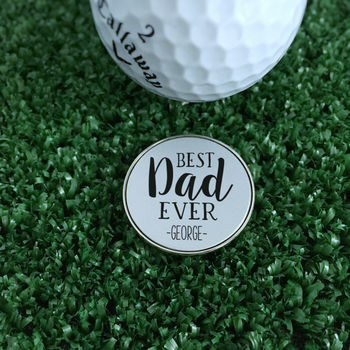 Personalised ‘Best Dad Ever’ Golf ball marker. 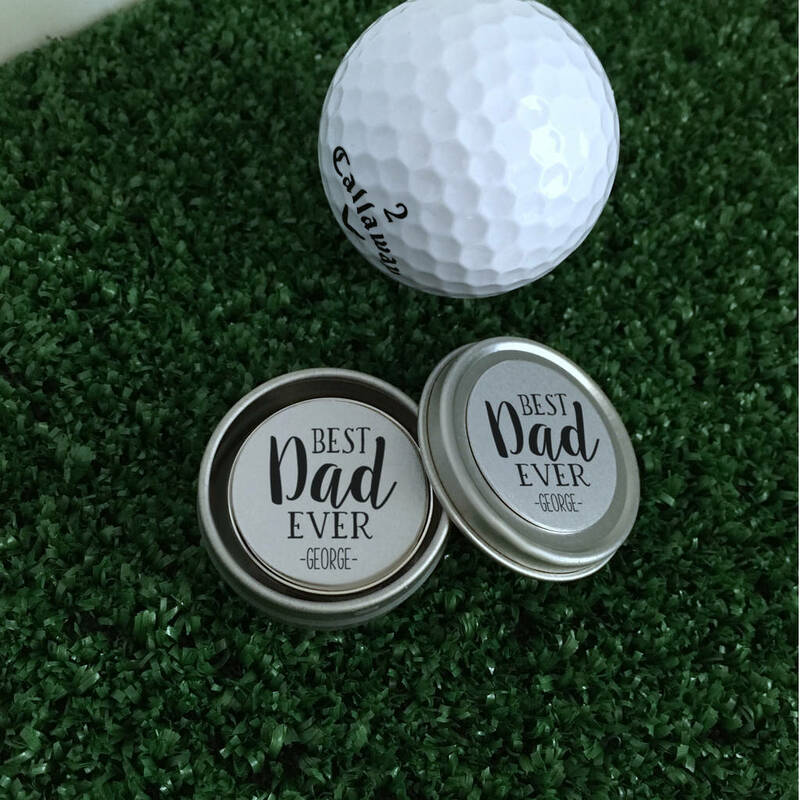 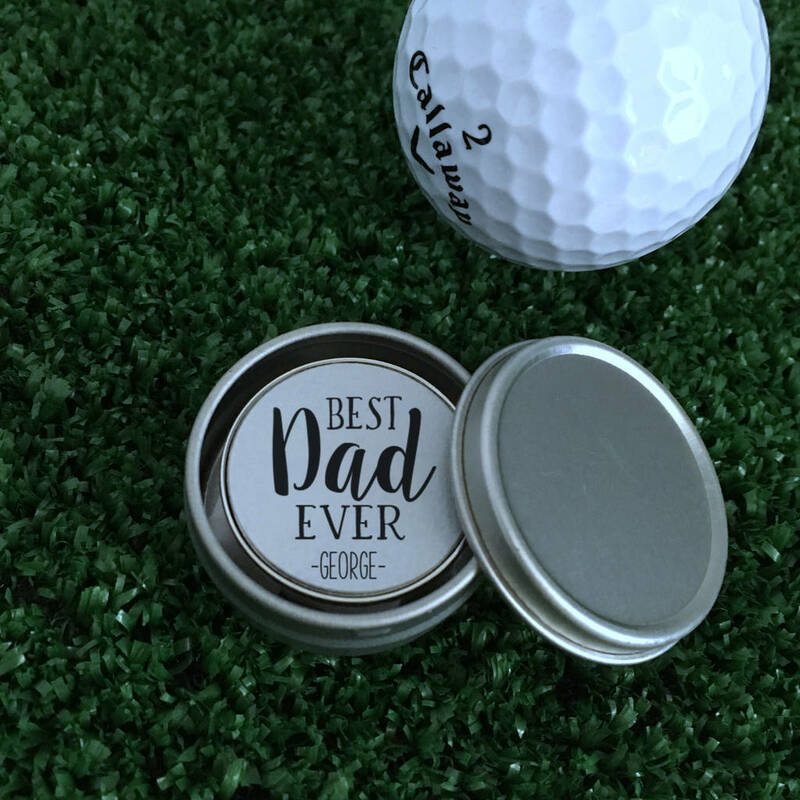 This personalised ‘Best Dad Ever’ makes the absolute perfect gift for all Golf loving Dads. 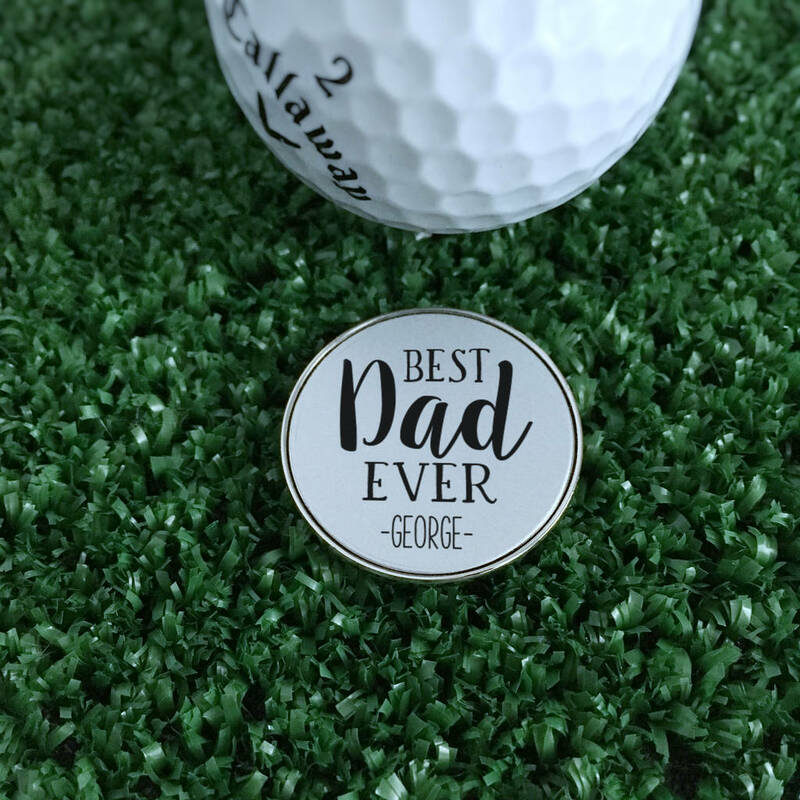 The metal golf ball marker will be personalised with the name of your choice and encased within a clear poly dome to protect the design.